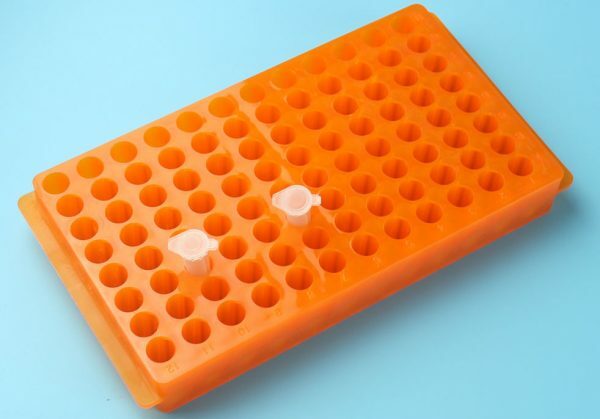 $120/case of 20 double sided 96 well micro centrifuge tube rack holder. Made of polypropylene (PP), autocleavable. 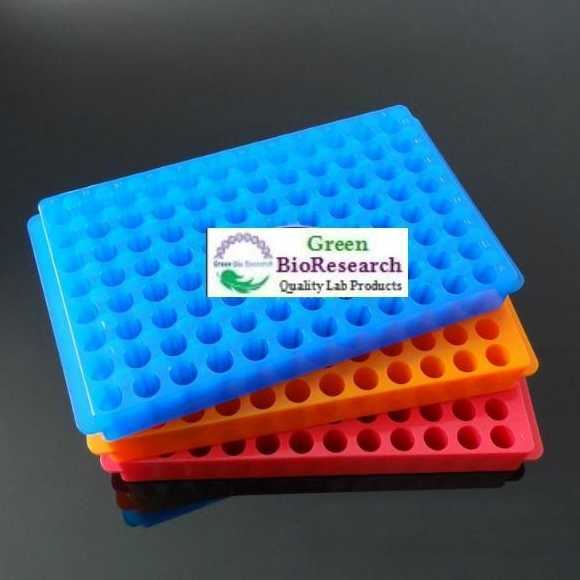 Green Bioresearch 96 well microcentrifuge tube rack holder is great for storage of 0.5ml, 1.5ml, 2ml and screw cap micro tubes at room temperature, refrigerator, freezers, etc. 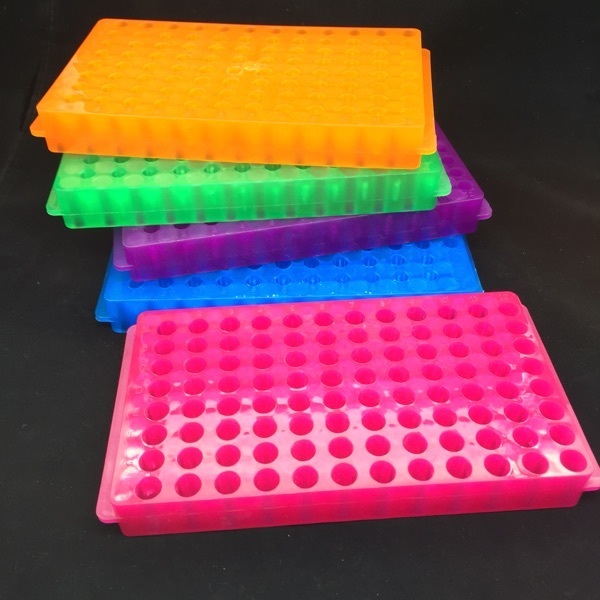 Our micro tube racks are made with assorted colors for easy sample identifications. Free ground shipping on orders $200 and up. 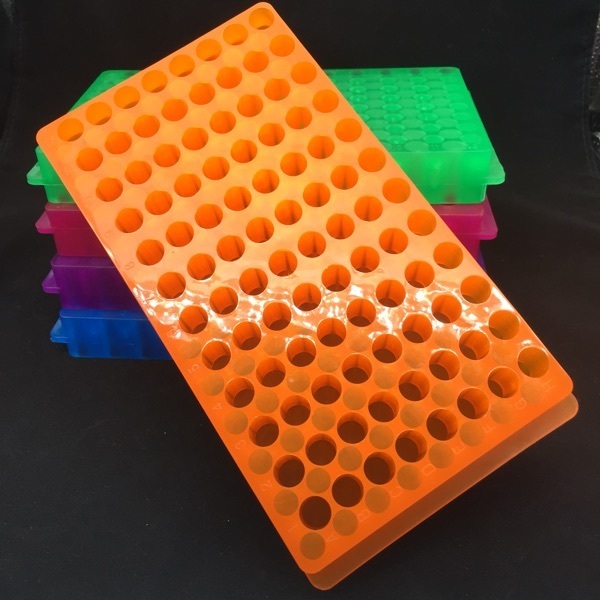 Double sided 96 well micro tube racks: There are 96 wells on one side and the diameter of the hole is about 11mm (for 1.5ml/2ml tubes); Also there are 96 small holes on the other side and the diameter of the hole is about 9mm (for 0.5ml tubes). We also have 60 well, 80 well micro tube racks holders, 20 micro tube racks with 5 assorted colors for only $85, or more colors Made Proud in USA 1 and 2. Please check those micro tube racks holders for your daily applications. 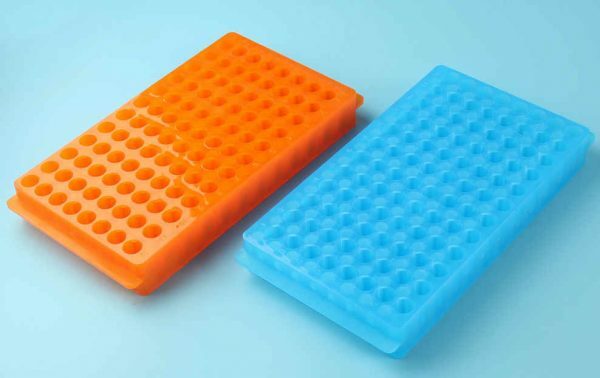 Easily Fill and Transfer 96 tubes in compact arrangement (8 x 12 array). 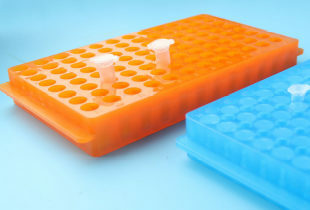 Special designed double-sided racks: 96x 1.5 and 2.0 ml micro tubes on one-side, and 96x 0.5ml micro tubes on reverse side. Assorted colors: blue, green, yellow, red and purple. Will be shipped with random color. The shipping cost for each order is $9.50, but will be automatically waived at checkout on orders of $200 and more.